Major purpose of this lecture is to present Indexing and Hashing. Hashing is the alteration of a string of characters into a typically shorter fixed-length value or key that characterizes the unique string. Indexing is an easy way of sorting a number of records on several fields. Creating an index on a field in a table creates another data arrangement which holds the field value, and pointer to the record it relates to. 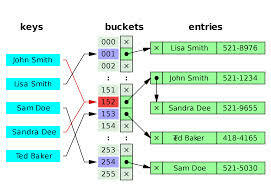 Here also focus on Ordered Indices, B+-Tree Index Files, B-Tree Index Files, Static Hashing, Dynamic Hashing, Index Definition in SQL and Multiple-Key Access with example.